All her life, Mulan has trained for one purpose: to win the duel that every generation in her family must fight. If she prevails, she can reunite a pair of priceless heirloom swords separated decades earlier, and avenge her father, who was paralyzed in his own duel. Then a messenger from the Emperor arrives, demanding that all families send one soldier to fight the Rouran invaders in the north. Mulan’s father cannot go. Her brother is just a child. So she ties up her hair, takes up her sword, and joins the army as a man. Thanks to her martial arts skills, Mulan is chosen for an elite team under the command of the princeling—the royal duke’s son, who is also the handsomest man she’s ever seen. 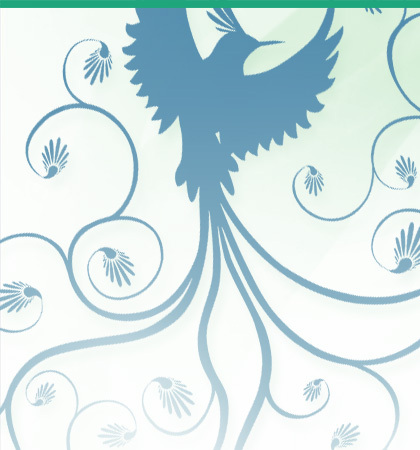 But the princeling has secrets of his own, which explode into Mulan’s life and shake up everything she knows. As they cross the Great Wall to face the enemy beyond, Mulan and the princeling must find a way to unwind their past, unmask a traitor, and uncover the plans for the Rouran invasion…before it’s too late. 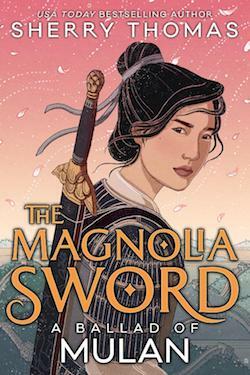 Inspired by wuxia martial-arts dramas as well as the centuries-old ballad of Mulan, The Magnolia Sword is a thrilling, romantic, and sharp-edged novel that lives up to its beloved heroine. The following is essentially the author's note from the back of the book. In June of 2017, my agent emailed me out of the blue and asked if I had any interest in doing a YA retelling of the Ballad of Mulan. My first reaction was laughter, not in derision, but in sheer astonishment. On paper I seemed a good candidate for such an adaptation: I grew up in China; I’d made a career out of historical fiction; I’d even produced two books, set partly in China, featuring a young woman who is a highly skilled martial artist. But in reality I’d never had the slightest interest in the legend of Mulan. But now I was intrigued. The original ballad tells the very simple story of a girl leaving home in her father’s stead to go to war and then coming back. I could have taken it in any direction I wanted, and I chose to infuse it with elements of wuxia, a uniquely Chinese literary genre that explores the themes of honor, sacrifice, vengeance, and forgiveness through the adventures of almost mythically adept martial artists. The editor who suggested the retelling, Cheryl Klein of Lee & Low Books, liked that approach, and we decided to go forward on the project. So I set out to learn about the time period. And what I learned challenged, even upended, many of my own notions of what it means to be Chinese. Though I recalled little of the animated Disney version of the story, I did remember that the invaders were called the Huns. (Whether any of the nomadic tribes that clashed repeatedly with the Han Chinese were, in fact, the Huns is a matter of debate—there is no definitive evidence.) So while I was not surprised that in the fifth century, the dynasty that controlled the northern half of China had to contend with incursions from a nomadic confederation known as the Rouran, I was shocked to learn that this northern dynasty was itself nomadic in origin. After the fall of the Han Dynasty in 220 AD, and until it was unified again under the Sui Dynasty in 581 AD (approximately a hundred years after the setting of this book), China was in a state of almost constant reconfiguration. The Three Kingdoms, the Six Dynasties, Sixteen Kingdoms, Northern and Southern Dynasties—those are just some of the names used to describe various periods within this generally tumultuous era. Northern Wei, the dynastic time and place where the ballad of Mulan is typically assumed to have occurred, was one of these Northern and Southern Dynasties. It was founded by the Tuoba clan of the Xianbei tribe, one of the nomadic peoples that had settled in northern China centuries earlier. In discovering this, I realized that the north of China—and the south, too, with its indigenous peoples—was far more diverse than I’d supposed. That what I always took to be a rather monolithic Chinese identity was actually forged of the collision and melding of many cultures and many peoples. That the age-old story of Mulan can actually be a timely exploration of whose voices are heard and whose stories get told. That a girl who goes to war and finds her courage can at the same time unlearn ingrained biases and unpack her own assumptions. All of which have made writing The Magnolia Sword one of the most rewarding experiences of my career, and for that I could not be happier. “Hua xiong-di, it has been a while,” my opponent murmurs. In the feeble light, his shadow is long, menacing. It has been nearly two years since we last crossed swords. But I am nobody’s xiong-di. Nobody’s younger brother. In those notes of his that somehow find their way into my hands, he has always referred to himself as the Humble Nameless. But I know who he is. I knew the moment I first laid eyes on his sword-lean, sword-sharp handwriting. The one against whom I am fated to clash. My hand tightens around the hilt of my blade—not the priceless family heirloom that lies at the root of the enmity between us, but only a practice sword of identical length and weight. My opponent keeps his voice low, but his words reach me clearly, despite the cloth that covers the lower half of his face. A shrieking wind flaps its corner, just below his chin. We are three days past the Lantern Festival, which marks the end of New Year celebrations. In the South, the first stirrings of spring must already be felt, a warmth in the breeze, a softening underfoot. But here in the North, the air is as frozen as the ground on which I stand. It is the polite response—and my deepest fear. The two previous times we met, I held my own. But things have changed since my family’s abrupt flight to the North. My training conditions have deteriorated; it will be a wonder if my swordsmanship hasn’t. My insides twist. Icy wind scrapes my cheeks. A bead of perspiration trickles down my spine, leaving behind a damp, cold trail. This is not the real battle, I remind myself. Our actual duel will take place next month, on a date set when I was still an infant. This is only an interim assessment, a test of my readiness—and his. I am ceding him the opening strike. He is the one who arranges these predawn meetings, but I am, so to speak, the host, as our combats always take place near my home. I have, however, never been to this spot, a small hillside clearing next to a decrepit shrine, where two incongruously new lanterns hang before the battered gate. And he occupies the slight rise that I would have taken, had I arrived first. All the same, etiquette must be observed. My opponent salutes me with proper decorum and respect. I return the gesture. Those of us trained in the way of martial arts like to cloak our violence with as much ceremony as possible. But in truth I don’t mind observing the rules for men. They get to concern themselves with how things should be done, while women must satisfy themselves with learning everything that isn’t allowed. We draw our swords, my blade leaving its casing with a soft metallic hiss. My stomach clenches again, but my hand is steady. I know this sword. I know what to do with it. I inhale, a measured intake of air, followed by an equally deliberate release. He too breathes deeply, quietly. Above the cloth that conceals the rest of his features, his eyes are shadowed. Only the blade of his sword catches the scant light, a dangerous gleam in the darkest hour. I have long wondered whether I would recognize him if I saw him elsewhere, without sword, without disguise. Sometimes strangers of similar height and build snag my attention and I find myself studying them. But I always know they aren’t him—they lack his aura of deadliness. His silence and stillness flood my awareness: I have been waiting for this day, for his abrupt return. The moment he advances, I launch myself toward him, aiming to slip past him to the higher ground beyond. But he sees through my feint and slashes toward my midsection to hold me back. I point my blade at his left shoulder, intending to force him to his right while pushing aside his attack with my scabbard. When his blade hits the scabbard, however, my heart recoils. That sound—it isn’t an ordinary weapon glancing off wood and leather, but an extremely sharp edge cutting into my scabbard. He is wielding Sky Blade, one of the pair of legendary swords our families have fought over for generations. I use his real surname deliberately. There is little point in continuing to address him as Brother Nameless when he has shown me something that identifies him so plainly. “With the duel so near, I’m surprised Hua xiong-di did not bring Heart Sea,” he says. What can I say? That I don’t have access to Sky Blade’s mate? That my father still hasn’t entrusted it to me? “Swordsmanship isn’t about swords, but strength of will.” I repeat what Father has told me many times. We exchange a flurry of strikes. Since my family arrived in the North, I haven’t had a regular practice partner. Occasionally a friend of Father’s passes through and works with me; still, I’ve become rusty. But now, as we settle into a rhythm of combat, my muscles react more swiftly. My footwork becomes more agile, my mind sharper and more focused. And with this engrossment comes a palpable pleasure: If I let everything else fall away, if I concentrate on only the physical aspect of our contest, then I can’t help delighting in it. I love fighting well and he has challenged me to fight better than I ever have before. All my years of training flow through my sinews to produce a dexterity and lightness that would impress even Father. But I can’t let everything else fall away—I can never forget that what happened to Father could befall me too. And my opponent hasn’t traveled goodness knows what distance to spar with me for the fun of it. He is using the opportunity to seek my weaknesses. I am tall; my height exceeds that of the average man, or at least that of the average man in the South. After a lifetime of training, I also possess considerable strength. But Yuan Kai has been training as long as I have—longer, most likely, since he is older. And he is half a head taller, the width of his shoulders unmistakable even in the meager light. Our contest must not become one of strength. Only in swordsmanship will I have any hope of besting him. Since he is unwilling to give up his higher spot, I retreat slowly until we are on flat ground at the foot of the incline. Then I change tactics: Whenever I get a chance, I aim my blade at his knees, disrupting his footwork and destabilizing his balance. Once, he almost stumbles, but rights himself and retaliates with a dangerously angled jab at my throat. I leap backward. He advances, suddenly a lot more aggressive. He is steering me toward the half-dilapidated outer wall of the shrine. With my back to the wall, I will need to rely on strength rather than speed or cunning—exactly what I have been trying to avoid. Now I’m only one stride away from the wall and his blade is a blur of deadly edges, sealing me in place. All at once our swords brace together, jolting my shoulders. I usually fight single-handed, but now I have both hands on the hilt, and even so he is slowly, inexorably pushing my blade inward, bearing down on me like a falling sky. My right foot scoots back half a step to give me better leverage. All the same, my arms tremble. My sword slants at an almost unsalvageable angle: If I allow my elbows to bend, I will not be able to straighten them again. But I also cannot hold out much longer, and I cannot move back any farther without being trapped against the waist-high wall. We stare at each other. The wind howls. The flimsy light jerks with the violent swings of the lanterns. I can read nothing in his eyes, dark and becoming darker, but a blank intensity that makes my breath emerge with a sound halfway between a gasp and a sob. My entire body shakes with the effort of holding him back. I yank my sword toward myself, dodging just in time as he staggers forward, unbalanced. I stick out a leg and trip him. But with a hard slam of his free hand against the decaying wall, he somehow vaults himself into a sideways somersault. I leap to the top of the wall. As he lands on his feet, I dive from my perch and strike at him from above. He meets my blade with his own. I pivot as soon as I touch ground so he won’t be able to trap me again. He does not immediately attack. Three paces apart, we circle each other, our blades gleaming coldly. Patience, Father has always counseled. Patience and concentration. I don’t find it difficult to concentrate when there is something to concentrate on—a weapon slashing my way always has my undivided attention. But in a lull my focus splinters. My ears listen to his footsteps to gauge whether he walks more quietly than I do. My gaze flickers over his clothes—what can their style and construction tell me? My fingers flex and tighten around the handle of my sword, and I’m again envious that he can carry his priceless blade into combat and I’m not allowed to use mine even at home. “Hua xiong-di’s footwork has improved,” he declares softly. My eyes narrow. He hasn’t exactly paid me a compliment, as I had to rely on footwork to get out of an undesirable position. “Yuan xiong’s strength has also improved,” I retort. That is practically an insult, to comment on a swordsman’s vigor rather than his skill. Father has taught me that I should feel only utmost vigilance toward the duel. But each time I’ve met Yuan Kai, beneath my trepidation, there has been a…thrill—as if some part of me wants a contest that lasts luxuriously, from dawn to dusk. I spring and attack, my jabs quick and just a little agitated. I can’t be sure, but I seem to have caught him off guard. He parries, but his blade meets mine a fraction of a second too late each time. If I were fighting like that, Father would have sharp words for me. In fact, I find myself tempted to tell Yuan Kai to do better. Our swords brace. The previous time, he applied overwhelming force; now, just enough resistance to ensure that I don’t hack into him. We stand toe to toe, nothing but crossed blades between us. He studies me—not my technique, but my face, as if he has forgotten the precise arrangement of my features. As if he would rather look at me than fight me. I think of him constantly. And when I do, it is often accompanied by a sharp pinch in my heart, a pang of loss. For what, I do not know, because we are only opponents and we can only be opponents. But sometimes my thoughts run away with me, and in my daydreams we speak together, walk together, and sit down to meals together. In my daydreams the duel does not mark the last time I would ever see him. Does the frail, flickering light seem to trace a line across his forehead? Is that a crease of concentration—or a scar? If it is a scar, how did he come by it in that perilous spot? With a start, I realize I have lifted my other hand, as if I intend to touch that perhaps-scar. At my indrawn breath, our eyes meet again. He does not look away and neither do I. A gust roars past. The lanterns gutter, once, twice—and extinguish. And the near-dawn plunges back into a murky darkness. We leap apart as if we’ve been caught in something illicit. I inhale slowly, not wanting to betray the irregularity of my breathing. His indrawn breath too is carefully even. Silence spreads, broken only by the restless wind, bumping lanterns into the gateposts and rattling the roof tiles that still remain on the shrine. In the distance, the Northern town that serves as my new home is almost uniformly dark, with only a few lit windows. And the city gate won’t open for at least the time of a meal. I exhale. But my relief at not having lost to him is immediately superseded by the questions that always plague me at his visits. Does he have his family’s permission to seek me out? How is it that he can find me, South or North? And why did he visit me twice in quick succession, making me believe that we would see each other regularly, and then disappear for almost two years—only to reemerge now, little more than a month from the duel? We sheathe our swords and salute each other. He walks to his horse, pins on a cloak, and mounts, his motion easy, fluid. And then he is off, his cloak streaming behind him, a great wind-whipped shadow. Copyright © 2019 by Sherry Thomas. All rights reserved.